Tina's Crop Shop: OSAT Blog Hop - Fall/Halloween! Hello and Happy Thursday... and yes, almost Friday! Woo Hoo! I'm hopping with a bunch of super creative friends today for One Stamp At A Time's Fall Halloween Blog Hop! If you're ready for some awesome Fall and Halloween inspiration you'll want to be sure to hop all the way through! 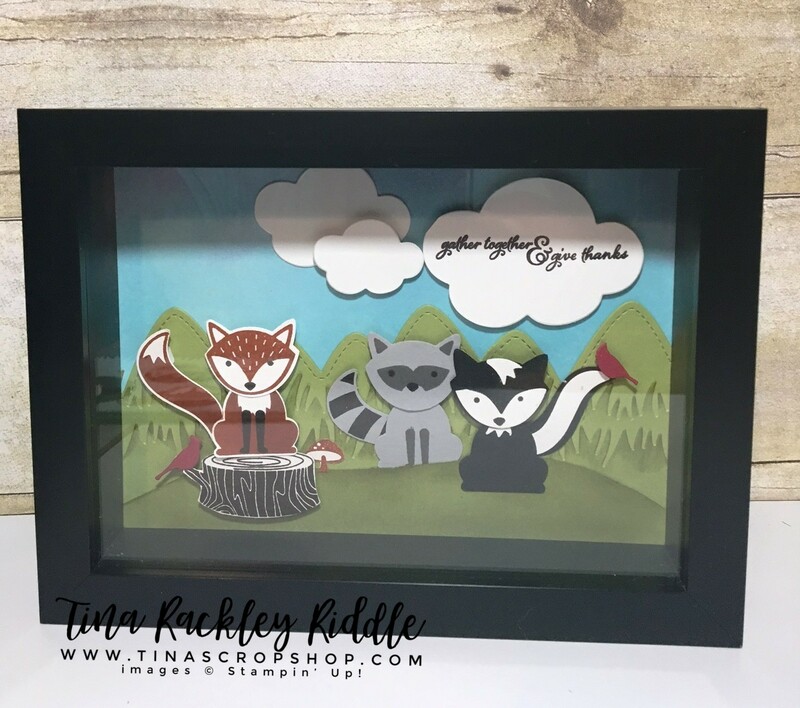 If you've already been hopping, you should have landed here from the fabulous Kelly Acheson's Blog and thank you for continuing on! I love all of the creatures that can be made with the Foxy Friends stamp set... so many options! I thought the sign was a great way to showcase the sentiment and it gave me a chance to add a little cardinal! My husband and I love birds and cardinals are out favorite! 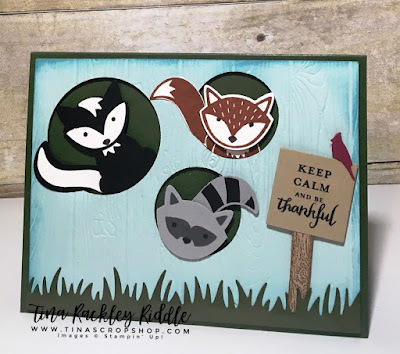 The adorable Keep Calm and Give Thanks Sentiment was from the September Paper Pumpkin Kit and I know I'll be using it a lot! Thanks so much for stopping by! If you'll click the next button you'll land at Dena Rekow's Creativity Cave! Dena is one of my all time favorite stampers and I LOVE her videos on You Tube! If you don't subscribe, you should! She is unbelievably creative!! Tina Riddle ... You are Here!